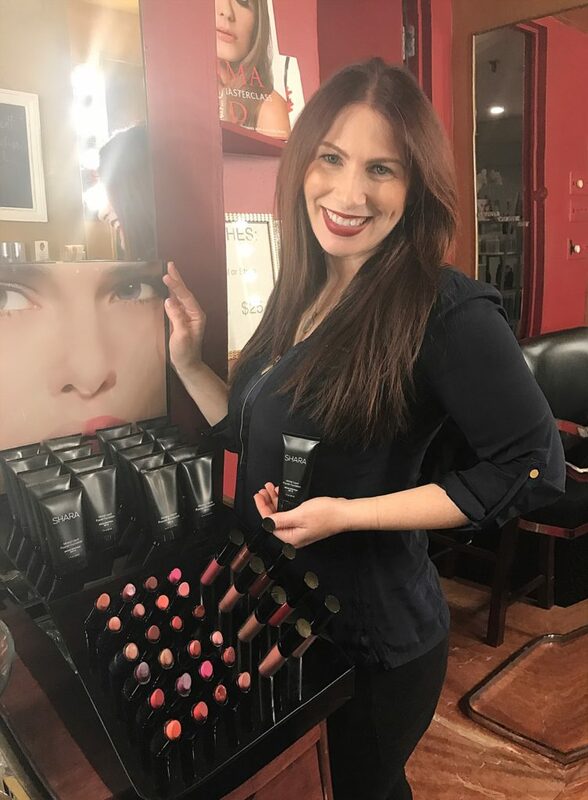 Professional makeup artist Shara Strand worked for over 15 years in the industry for a variety of well-known makeup lines until opening her own makeup studio, Shara Makeup Studio, in New York’s Upper East Side neighborhood. Strand now spends her days dedicating her skills and time to helping others feel their most confident when it comes to applying makeup. To successfully do this, she is constantly up to date on all the newest and stylish beauty trends. With a long list of high-profile clientele, Strand knows the ins and outs of a makeup kit. Her work has been seen on WNBC, Fox 5, ABC Morning News, Hamptons Magazine, and a variety of bridal magazines. “Anyone can benefit from makeup lessons, and you won’t find instructors/makeup artists as patient anywhere else,” Strand said. Along with patience, Strand dedicates every lesson to the each client, tailoring her instruction to their needs and wants. From there, she breaks down the process step-by-step, using a specific method to teach the application process as well as the product knowledge. And to make sure you don’t forget the process, she writes everything down including, what brushes to use with each product and how to use them. When you finish, you’ll never have to worry about guessing what comes next when getting ready and putting on your makeup. Her one-on-one makeup lesson services have been so successful that they are now the most booked service her studio offers. For $125, it begins with a consultation on makeup and skin goals and a look through any current makeup routine and favorite products. Then, one of the professionally trained artists at the studio breaks down the process to create perfect shades, smooth application, and product recommendations. If you’re going to invest the money to ensure that your lines are always contoured correctly and your makeup stays flawless, you want to invest somewhere like Shara Makeup Studio where every customer is a valued and appreciated customer. Plus, knowing the skills yourself beats the time it takes to go to your nearest mall’s makeup counter. While it is pretty easy to just go to YouTube and look at one of the thousands of makeup tutorials available, none will give you the same in-person and customizable experience as Shara Makeup Studio will. Not only, will you be listening and absorbing tips and tricks from Stand, her unique process provides time so that each artist will apply makeup to half of a client’s face while the client follows along. Strand’s training sets her apart from the rest. “A lot of time at makeup counters, artists are really not trained,” she said. Instead of product, she focuses on what works best for the client. “We listen to our clients and they lead they way. We are there to achieve the looks they desire, and not the other way around,” Strand said. Along with one-on-one lessons, the studio also offers options for makeup parties. If you have a group of women for a bachelorette or birthday party, they can join together in the fun with a night filled with beauty and makeup lessons. Men, don’t worry, as there’s something for you too. Men can polish up their looks as well with a 30 minute service from Shara Makeup Service learning everything from eyebrow cleanup, and tips and tricks to cover blemishes. So if the man in your life wants to learn more about his beauty care, treat him to the unique gift of a studio session. Whether you are looking for a quick session, or wanting to dive into the world of makeup with VIP lessons or a series of classes, Strand’s studio has what you are looking for. They also offer services to teach clients about airbrush makeup application, lash and eyebrow techniques, and special event makeup in addition to traditional makeup.There’s even an in-house mineral makeup line called Shara Cosmetics that can be purchased in the studio or online. “Our goal is total convenience in a great environment,” she said. Once you find out how convenient and fun applying your makeup can be you are guaranteed to not regret time spent at Shara Makeup Studio.